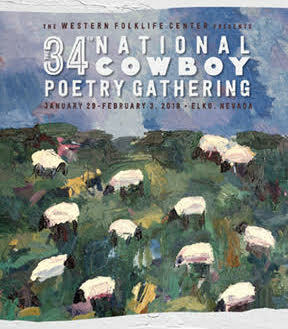 At the National Cowboy Poetry Gathering, we were thrilled to sit down with Kristin Windbigler, executive director of Western Folklife, the organization that runs the Gathering. 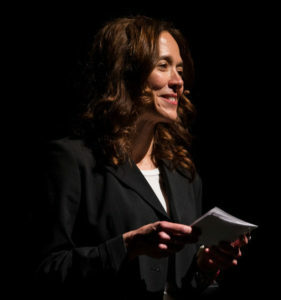 She took the helm less than a year ago after serving on its board of directors and working for TED as the director of TED Translators, a project involving 30,000 volunteers. 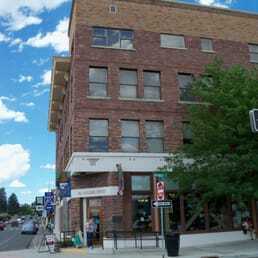 Windbigler grew up in rural Humboldt County, California. Read additional interview here. 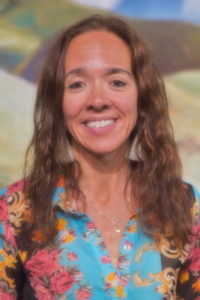 Maddy Butcher (MB): Can you help us understand the demographics of those attending the National Cowboy Poetry Gathering? It seems like a blend of wannabe ranchers and ranchers. Kristin Windbigler (KW): I think it’s difficult to suss out. First, we might have to determine what is actually a rancher and what is a wannabe rancher. There is this huge grey area in between. A lot of our most popular artists came from the East. They came to the West when they were young. They had an appreciation for this life. That’s what the West is all about, reinventing yourself. So I’m really careful in how I talk about it because I want to create an environment of inclusivity. If somebody lives in New York or San Francisco and is just interested in the lifestyle around raising our food – Welcome. Please come. MB: I guess I would distinguish ranchers as people who are actually making money at it, raising cattle. KW: Yes, but there are a lot of people who did that at some point in their life and don’t have a single cow now. I’m one of them. I travel too much. I have a Cocker Spaniel. I don’t even have a horse. So to me, it’s a lot more than that. Moving forward, I’m interested in bringing in younger people. They are out there. But the way you reach them is a different way than it is for people my age or older who are already coming. I’m actually pretty optimistic. We’ve got the makings of a real social media campaign this year at the Gathering. That’s helpful in getting the word out that change is afoot and that hopefully it is positive. MB: You’ve been involved with Western Folklife for years and have served on the board. What’s it like to be in the driver’s seat now? KW: I joke that I’ve been training for this job my whole life. As I kid, I didn’t have any brothers. I grew up working. I grew up in a family who had a really strong appreciation for the art of storytelling. I love my neighbors. I love where I grew up. My mom was the postmaster there. She made all our clothes when I was a kid. Anything handmade was something that was really valued. I also loved books a lot. My parents were really big on education. There are a lot of values that I learned while growing up in a small, remote community that worked really well for a career on the internet. When you live in a community where there aren’t a lot of resources financially, you learn how to get things done by trading work. It’s really true – the notion of barter is how you make connections with people, they learn to trust you. For me, my whole career has been built on successful relationships I’ve built with people. I learn what they need to get out of it. I know what I need to get out of it. I try to make that happen. If you skip ahead from me, this kid me from Blocksburg, California, to running a major program at TED – there is a really direct tie to the skills I learned from my folks and the other people in my community: being kind, being nice, and having this set of work values and respect for other people that enables everybody to rise up. MB: That’s excellent. Yes, in my world, I’m coming to realize that it can be filled with closed-minded liberals and open-minded conservatives when years ago, I thought it was quite different. How do I talk about that in a kind-hearted way, and as a liberal myself? KW: I know. That’s a challenge here, too. One of the reasons I chose this job is that like most people, I’m really tired of the political discourse in this country right now. I’m much more interested in how people find ways to work together. And that’s always happened here at the Gathering. That’s one of the things that made it appealing to me. When I first came here, it reminded me of being at home in the community where I grew up. When you live in remote community, you’re in it together. When your house catches on fire, even your enemies will show up to help, because everybody realizes that it could affect more than just you. MB: I’m taking a hat-making workshop and it’s the first time I’ve been here early in the Gathering week. There are LOTS of incredible workshops going on – from cooking to dancing to rawhide braiding to writing. Are workshops a pillar of Gathering? KW: My impression is that they have always been exceptionally popular. When I was here in years past, I usually showed up on the Wednesday, so I missed out. But we did expand them this year. Those cooking workshops were selling out like crazy. In the basement of the Western Folklife Center building, we found original plans for what they wanted to do with the building. I’m anchoring my vision on that. I want to create a vital community and cultural center, something more year-round and more vibrant than it is even now. One of my goals, too, is to knock down some walls and create a more open, modern workspace where ideas can flow and creativity can thrive. Currently, everyone is sequestered in their own walled-off offices. Other elements I found in those plans were a classroom, a wood shop, a reading room. We’d like to allow more of the public space to spread up onto the second and third floor staff space. If I’m really dreaming, we could put in a test kitchen, where we would film classes. And from there, we could launch an online program. If we design it right, there’s a lot of potential here. We have an archive that’s rich with all this content. But if we’re going to go to the next level, we really have to focus on production values and the execution of how things get packaged and presented, being aware of our audience and our platforms. MB: You can’t just throw stuff online. We are in a position to help the rest of the world better understand the lives of people in the rural west by helping rural people tell their stories. I’ve had my feet in two worlds for a long time. Growing up in Blocksburg, living in that community, and then telecommuting to New York. I go back and forth all the time. You see how people have false impressions or they don’t understand what the other’s life is like. They make assumptions. 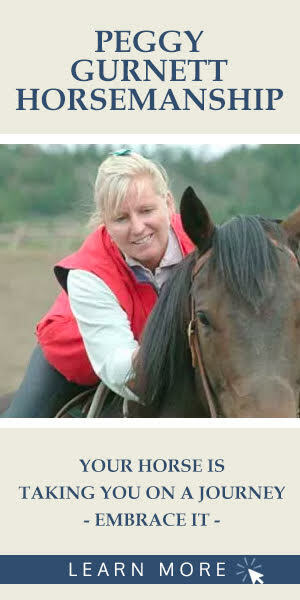 Posted in Horsemen & Women, Interviews and tagged kristin windbigler, national cowboy poetry gathering, western folklife.